Writing inspired by the fabulous lifestyle of Tyler Brûlé. As promised on our about page, we are set to develop a simple benchmarking system to ensure a high livability. And how better to do this than to set up a system based on the habits of TB? 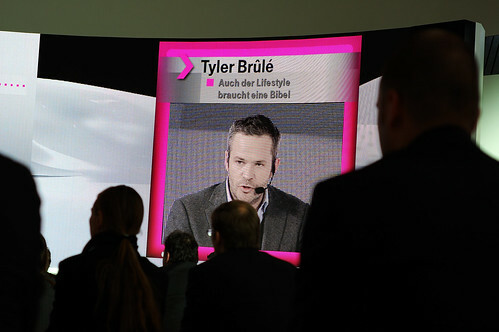 Enter: The Tyler Brûlé Index (TBI). After all, an index is the only fair way to measure things in life. It’s a simple and developing system that will take into account the many brands, airlines and preferences of our fellow friend. As a reference point, we will use a business class flight with Lufthansa – this will be TBI 100. This is the standard, if you will. The door whooshed shut, and the crew passed around pre-take-off drinks and quarantine forms for the State of Hawaii. Our Boeing 757 then rumbled along the tarmac, and a few minutes later we were out over the Pacific. I was utterly unprepared for what happened next. I guess that if I’d paid closer attention to the Hawaii-themed dinner menu, then it might have offered some type of warning. But I hadn’t, so I didn’t know whether to stare, laugh or despair when the cabin crew emerged from the galley accessorised in little floral sprigs and swatches of Hawaiiana. Steward in silly, rather than skimpy, outfits. What else is to be expected from American Airlines, you may ask? A fair question considering this North American carrier is far from the likes of ANA, Cathay or Porter. The whole airline is a stretch to even make TBI 60 in total, but then I’m of course referring to seating in the front of the cabin. Otherwise it had been considerably less. We’ll be referring to the TBI in the posts ahead. Anyone that has had a TBI 150 experience knows that it should be shared with others.